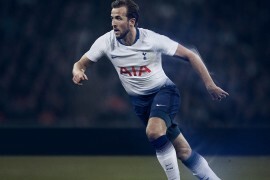 Nike may have put a hold on the delivery to the public of the Mercurial Vapor Superfly, but the top flight players who continue to wear the boot had stunning success last night in the Champions League. In Portugal, Manchester United arrived to play Porto in the unfamiliar position of being underdogs following a 2 – 2 draw at Old Trafford. United required a strong start to quieten the locals and they got it on 6 minutes through Portuguese international Cristiano Ronaldo. Having scored just once in the Champions League this season, Ronaldo made sure that his second goal of the competition would be slightly more memorable. Picking up the ball 40 yards out, Ronaldo let fly with an explosive shot that whistled past Helton and in to the top corner. It proved to be the winner and reaction to the goal from the player and his manager was equally enthusiastic. I would have to go back into the memory banks to find a better goal than the one Cristiano scored tonight. It was a great, great strike. It is the best goal I have ever scored. I have just seen the replay. I didn’t realise it was so far out and I hit it at 64mph. Wow! 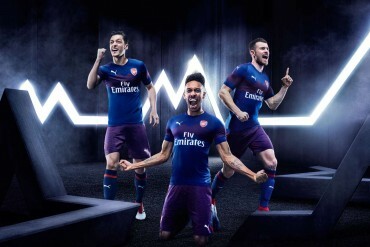 Meanwhile over in London, Arsenal were favourites to progress to the semi finals at the expense of Villarrael after securing a 1 – 1 draw in Spain. And they didn’t have to wait long to go in front. And as opposed to Ronaldo’s effort, this time it was a precision strike from the Superfly. 10 minutes had gone when Emmanuel Eboue’s forward pass was flicked on by Cesc Fabregas into the path of England winger Theo Walcott. The youngster bore down on goal and lured out Villarreal keeper Diego Lopez before exquisitely chipping the ball over him to put the Gunners ahead in the tie. Further goals followed from Emmanuel Adebayor and Robin van Persie as Arsenal recorded a 4 – 1 aggregate win. It is a test but one we relish. Manchester United against Arsenal are always very exciting games. Both teams like to go forward and we will be up for the challenge. It will be very interesting. It won’t be predictable. History always has a little part to play. But it is a cup competition of 180 minutes and what’s most important is the form on the day. Wednesday’s victories for United and Arsenal completed a stunning 24 hours for the Superfly with Didier Drogba wearing them to great affect in Chelsea’s 7 – 5 aggregate win over Liverpool. 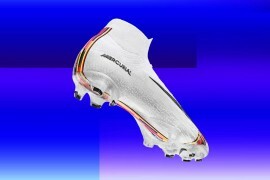 Additionally, Bayern Munich’s Franck Ribery also got on to the scoresheet wearing the Nike football boot in their 1 – 1 2nd leg draw with Barcelona at the Allianz Arena. 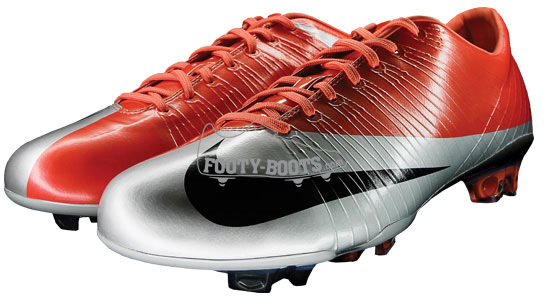 Superfly are really expensive, Ff they brought a nice looking pair out, and reduced the price to about 99 pounds. I would look into buying some..
As much as I don’t like C. Ronaldo, I have to say what a great strike that was, over 60mph that is a proper Roberto Carlos strike. I think those boots are nice but i don’t like the color combination. 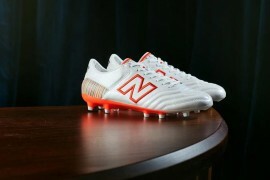 If they are white or black or even blue they are really cool. But the design is really nice. i bet that even if ronaldo and/or theo was wearing a mizuno / valsport or any other (for lack of a better term) B-list boots they would’ve still scored the goal. 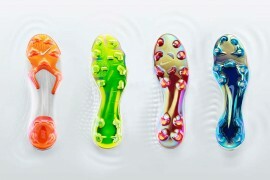 besides, isn’t enabling you to hit the ball really hard is more in the area of the t90’s / predators? 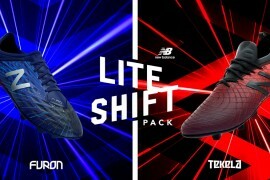 I will try not to label this as a conspiracy, but you guys are going gaga over goals from the superfly, when an equal or perhaps better feat was accomplished by the adiPure boot, scoring 4 out of the 8 goals in the chelsea-liverpool thriller. It’s obviously not a purposeful thing, as it is quite hard to ignore the mass marketing of the superfly and how good it is, thus more attention is shown to it while the less marketed boot goes a little unheralded. Just a little. It’s a fair point Aussie Lad. But I think the ‘newsworthy’ point here is that the Superfly has had it’s problems (which Footy Boots has reported on before) whereas most people will agree that Adidas has got the adiPure spot on. But you are right to point out the adiPure success too. 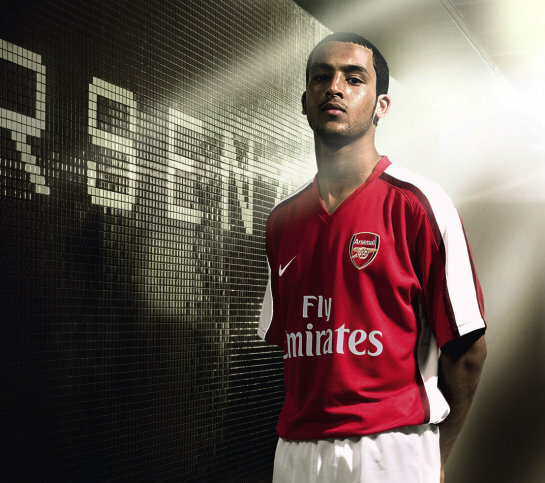 walcott was wearing vapor V’s not superflys. check on getty images. i find that interesting. 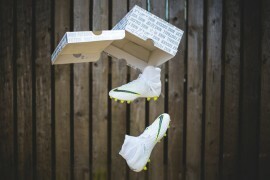 yer u are right the boots that theo was wearing were not superfly’s but the vapor v’s. does anyone know when the supeer fly is being re-released cos i really want a pair i have a pair of the vaper iv carbon sl and they are so good???? I checked getty images out and Walcott’s definitely wearing the superflys against Villareal. There’s no lace cover. 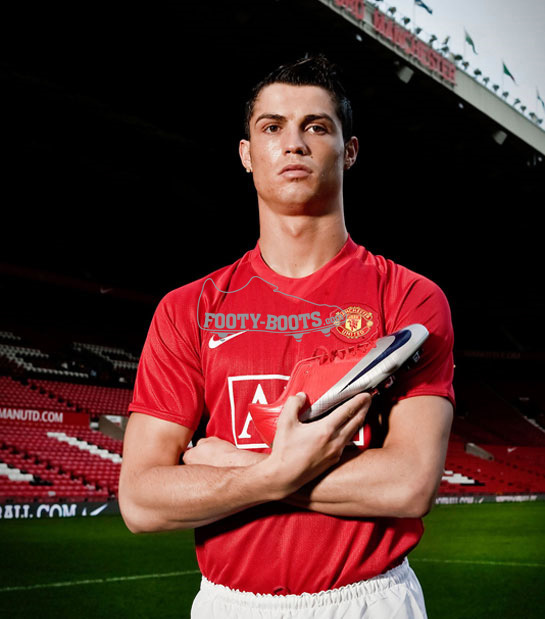 Why is it interesting that some players prefer Vapor V’s over superfly’s? You all act like its a big conspiracy like the superfly’s aren’t good. You did it wit the Sl’s too. Guess what, people have different preferences.